Hey groovers - I finished another thing! 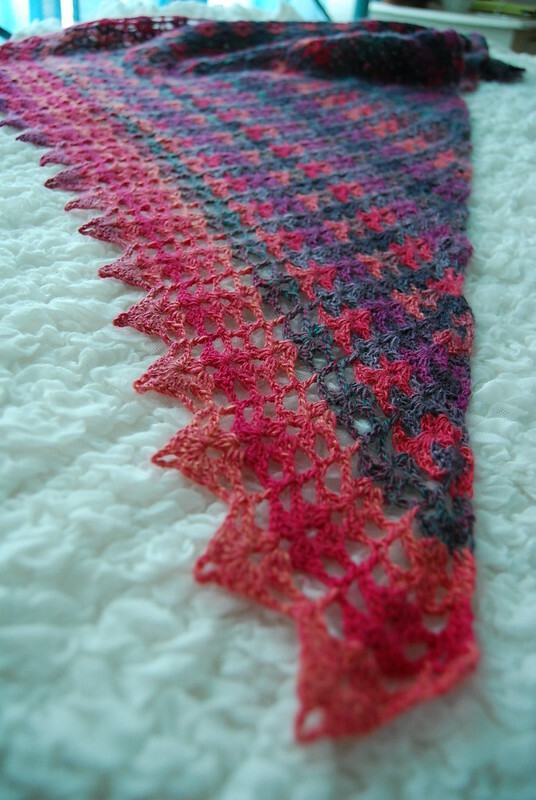 A while ago I said that I thought I'd never again knit another triangular shawl. I felt over them, and whenever I wear one, I feel a bit weird. However, I didn't say I wouldn't crochet another one one, did I? This took a long time to finish because I stopped working on it. In actual crochet time, it was a bit of a snap really. 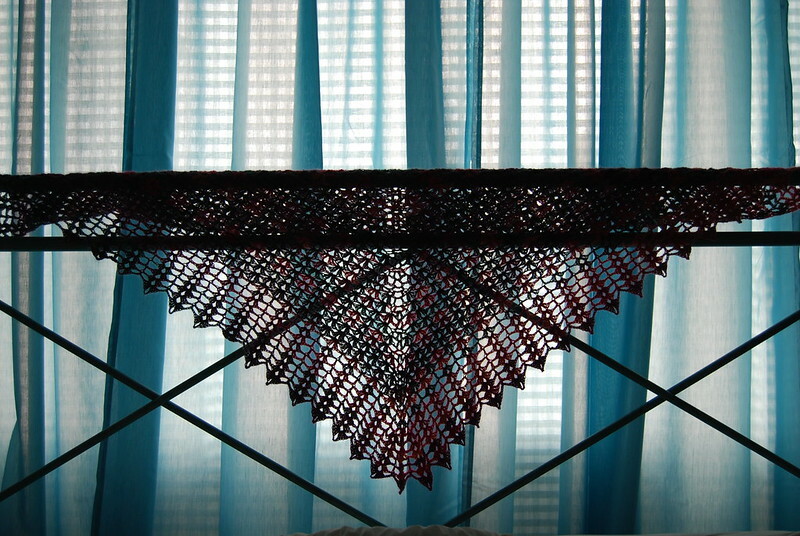 Pattern Notes: I didn't do anything except follow the pattern until my yarn ran out. It took a full ball of the fuschia mix, and about 3/4 of the purple mix. Really fun and addictive kind of project, and the alternating row that tricks the eye into thinking it's striped is GENIUS. And now, as soon as I type this, I begin my Christmas cooking. Being one of the few people I know who has actual culinary responsibilities this time of year, I'm looking forward to a menu of glazed ham, turducken (the ALDI equivalent anyway), roast pork, all manner of salads, quinoia fritters, black forest ripple cake (my experiment) and a wonderful cocktail I got from the delicious delicious magazine, the negroni sparkler - described as a christmas cocktail for the cynical. 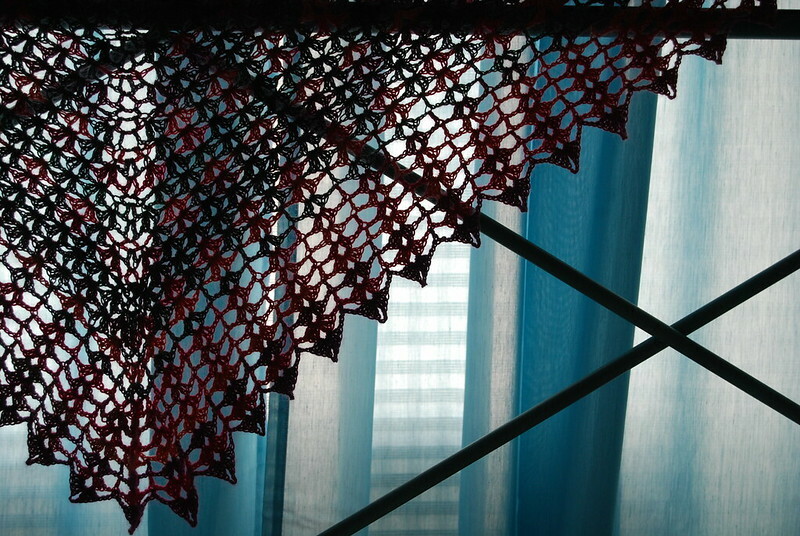 Must be the season, I cast on a triangular shawl this week, my first shawl in three years. Not that I ever wear them, either! That looks great. Crochet rocks! Looks great. 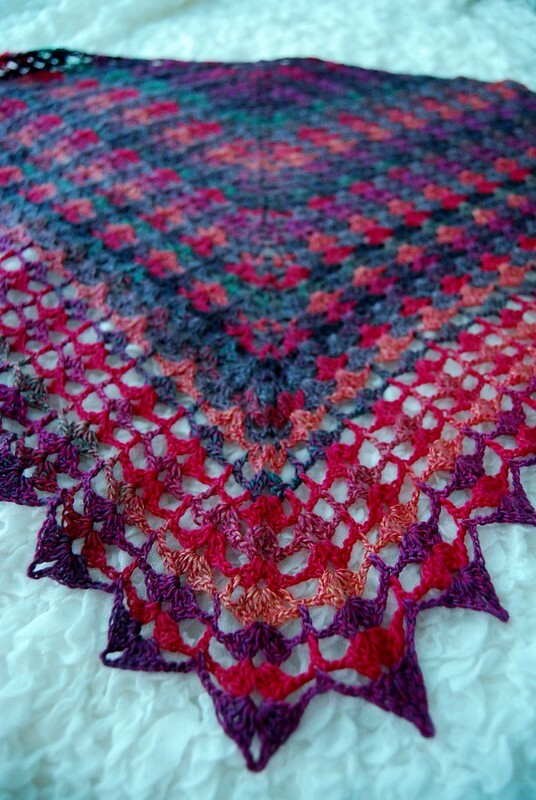 I have never crochet a shawl before and love the way the stitch looks. It looks gorgeous. Merry Christmas!